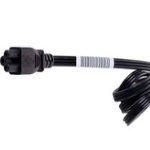 HP has announced a recall of 6 million power cords used with HP and Compaq branded laptops. 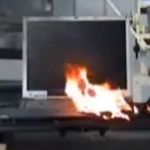 Risk of burn and fire hazards has prompted Sony to recall more VAIO laptop PCs. Freedom of Information request by KTVU in Oakland, California uncovers previously unseen video of li ion battery testing done by government agencies. It is very important for us to take utmost precaution while working on public computers. A few of them are enumerated here. I was shocked when Dell announced their first battery recall in August 2006, quickly followed by Apple. Being cynical by nature, the only reason that these companies would proactively do an expensive battery recall was to limit liability on a potentially explosive (pun intended) issue. 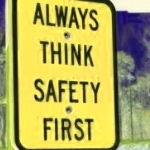 I talked to numerous industry vets and learned that the potential exists for many more battery explosions and recalls. At PC Pitstop, I made it our mission to inform the public of the danger of battery fires, and practical tips to avoid them. Last night, before I went to bed, the battery in my notebook felt a little hot. All these crazy thoughts went through my head. Was this the first sign before it explodes? What would I do if my notebook exploded in the middle of the night? Perhaps, I was being paranoid, but I pulled the battery out of my portable before drifting off to sleep. We intentionally created conditions in which the Li-ON battery pack would explode inside a generic portable. The results are dramatic. There are numerous conditions where these fires can occur in real life. Faulty battery packs (driving the recalls), faulty protection circuits inside the PC, exposure to excessive heat, and blunt force are some of the major ways that this could happen to you. Rob: Hi, this is Rob Cheng. It’s October 13th, 2006. I’m here with Tony Olson who is an old friend of mine that I worked with at Gateway. He was the Vice President of Engineering. Tony started a brand new company called D2 Worldwide and he has a lot of insight into the portables and what’s going on there. Tony, first tell me a little bit about D2 Worldwide and how you learned so much about the portables.